What’s Inside: Fall baking made easy! 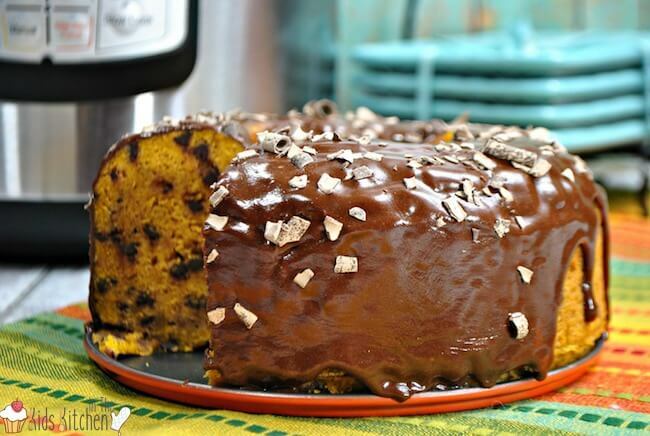 You’re going to love this moist & fluffy Instant Pot Pumpkin Chocolate Chip Cake! 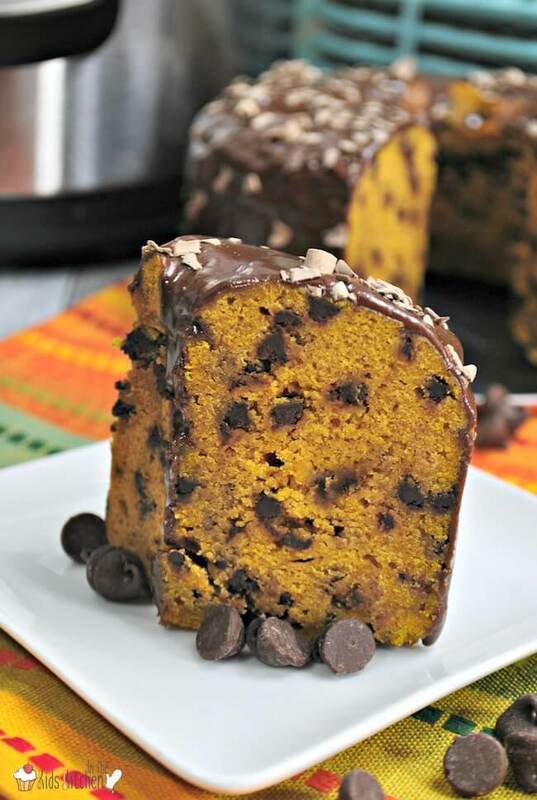 Pumpkin cake and chocolate chips are my favorite flavor combinations! 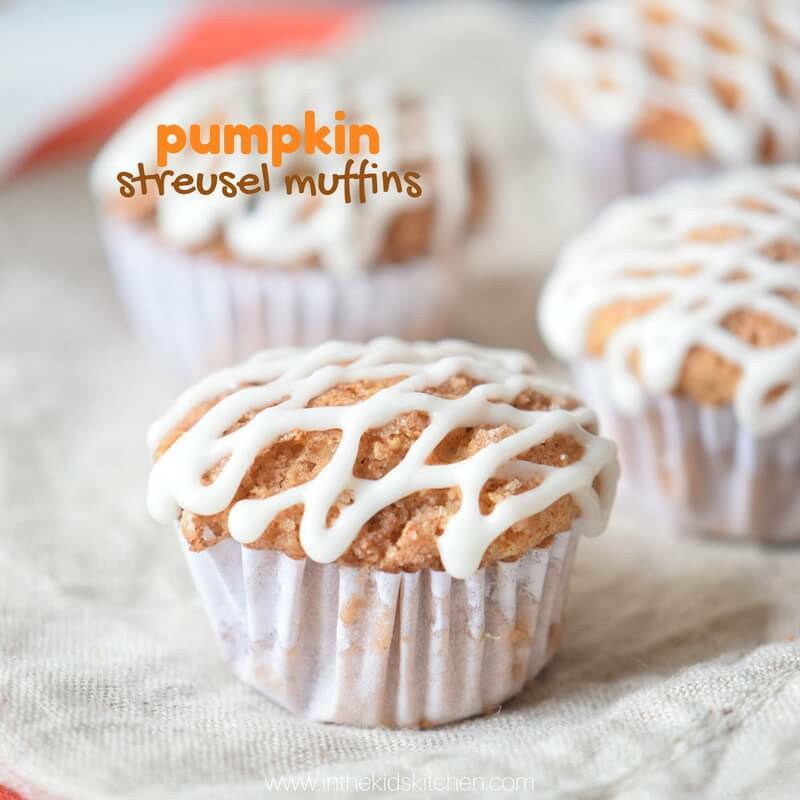 (My husband makes amazing Pumpkin Chocolate Chip Mini Muffins that both the kids and I love!) There’s just something about adding a but of dark chocolate to spicy pumpkin that tastes just heavenly. I look forward to pumpkin season all year! Baking in the regular oven is an exact science, with little room for error. So for an amateur like me, it can be a little intimidating. I also love how with this IP Pumpkin Cake you get to unwrap it at the end, like a sweet surprise! It’s a fun and easy way to get into Fall baking with the kids! 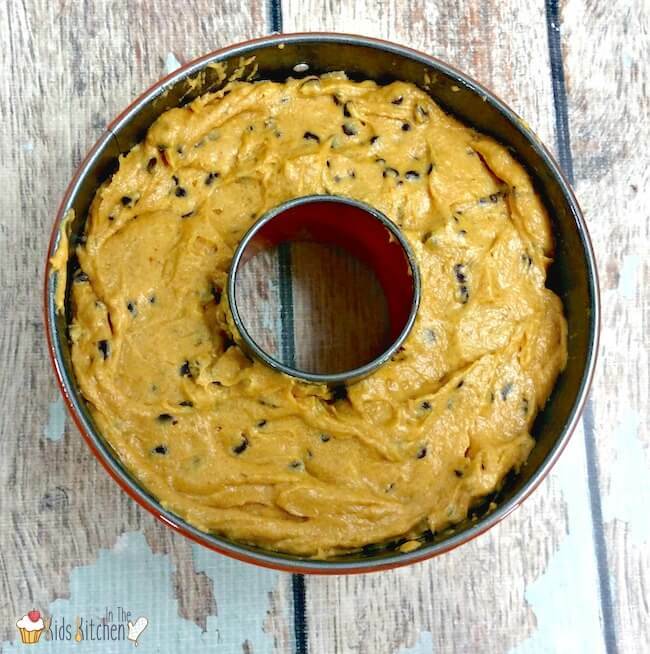 This Pumpkin Chocolate Chip Bundt Cake is perfect to make for a little get-together with friends and family, or simply a treat with your morning coffee. Or you can pack a slice in the kids’ lunch boxes for a special midday treat. It’s just right for any occasion! Related: Love pumping for breakfast? Try our easy Pumpkin Pie Turnovers! Keep reading for photo step-by-step instructions. 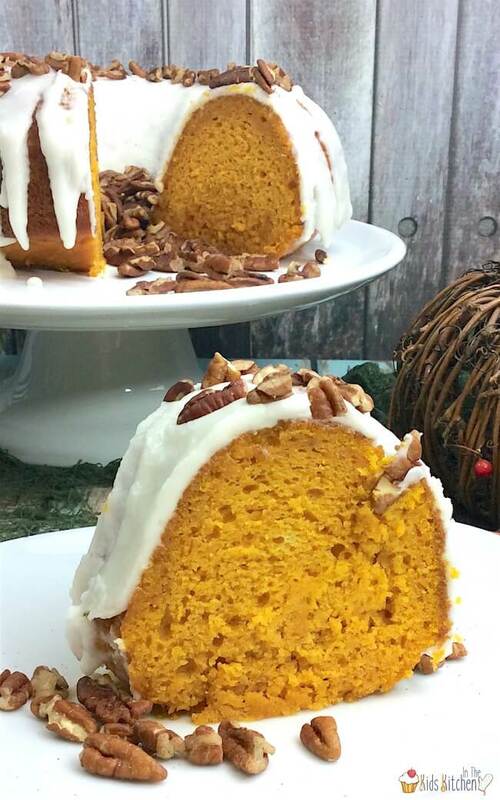 A free printable copy of this Instant Pot Pumpkin Bundt Cake is available at the bottom of the post. Sift together flour, pie spice, cinnamon, salt, baking soda, and baking powder in a large mixing bowl. Set aside. Cream together butter and sugar using a stand mixer or hand mixer, until it is light and fluffy. Add your eggs one at a time, making sure they are each fully incorporated before adding the next egg. Add the pumpkin to butter and sugar and mix until well combined. Stir in chocolate chips by hand, or with mixer on the lowest speed. Spray your Instant Pot Bundt Cake Pan generously with a non-stick baking spray, then scoop batter into pan. Cover pan complete with foil. Add your trivet to your Instant Pot. Pour 1 1/2 cups of water into the pressure cooker. Put the bundt pan on the trivet and lock the lid in place. Select High Pressure and set the timer for 25 minutes. Use a natural pressure release for 10 minutes and then do a quick pressure release. 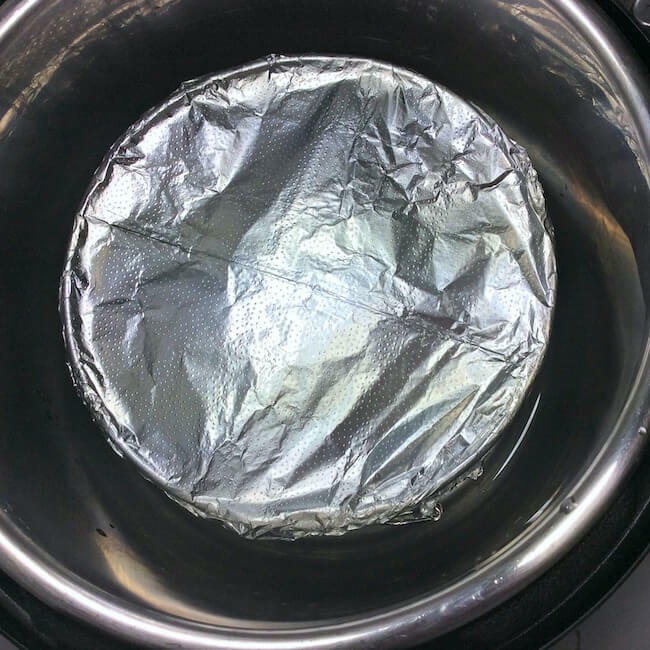 Remove the bundt pan to a wire rack to cool and remove foil cover. Allow to cool to room temperature before frosting. Combine condensed milk, and chocolate chips in a saucepan over medium heat. Stir constantly, until the chips are melted and the mixture is smooth, taking care not to boil. Cool slightly before pouring over your bundt cake. 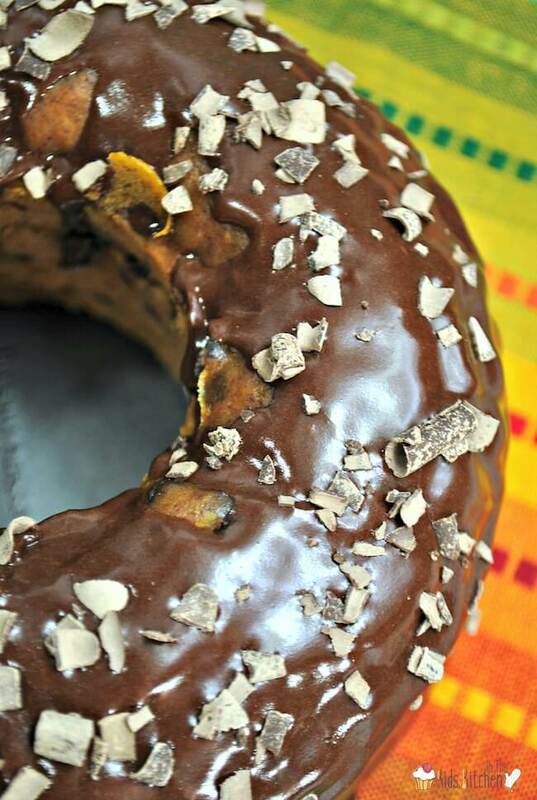 Top with chocolate shavings if desired. 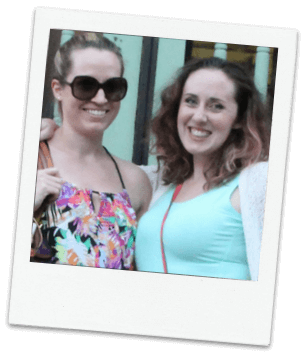 Have you tried baking in the Instant Pot yet? What is your favorite thing to make? Share your ideas in the comments below! Spray your bundt pan with a non-stick baking spray, then scoop batter into pan. Cool slightly before pouring over your bundt cake.